Proactive approach to each immigration case. Investing in the United States can be tricky and, with any government’s oversight, frustrating. Whether you are a foreign business transferring wealth to the United States or individual foreign investors coming to the U.S. to open new affiliate or subsidiary offices, The Batrakova Law Office (TBLO) can make the process easier for your investment immigration. The caliber of our immigration services and our proactive approach to each individual case will give you the head start you need for success. E-1/E-2 Treaty Traders and Investors: for countries that have a bilateral treaty with the United States, a foreign investor may secure this visa category and enter the U.S. to purchase a new or an existing business, with a capital contribution often as low as $70,000. 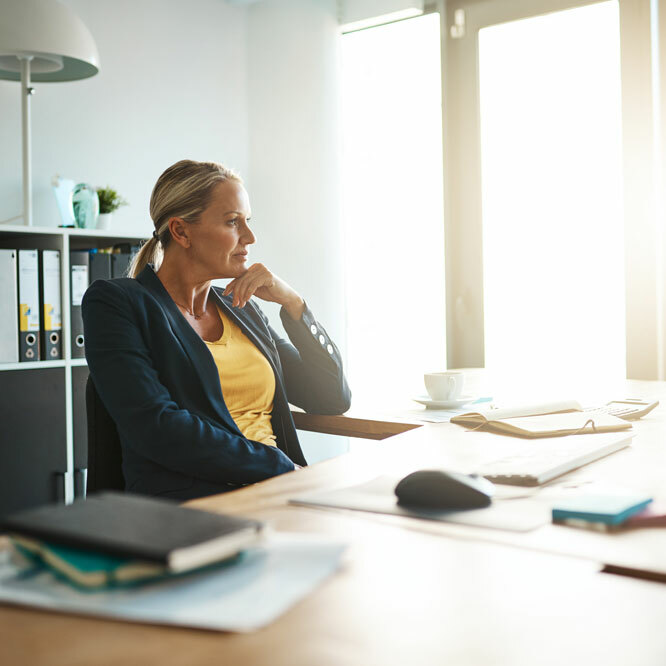 L-1A Intracompany Transferee in Executive or Managerial Capacity: foreign business owner with an active business abroad may come to the United States to open a new subsidiary or an affiliate office, and secure an L-1A status as the result. EB-5 Green Card Through Investment: an immigrant option that allows a foreign investor to obtain permanent residence (green card) by investing $1,000,000 (or at least $500,000 in a “Targeted Employment Area”). B-1 Visitor for Business: non-immigrant status limited in duration to 6 months. The U.S. immigration process can feel like a lifetime. Immigration for individual investors can be confusing and time consuming. TBLO has helped countless business individuals to successfully navigate the process. 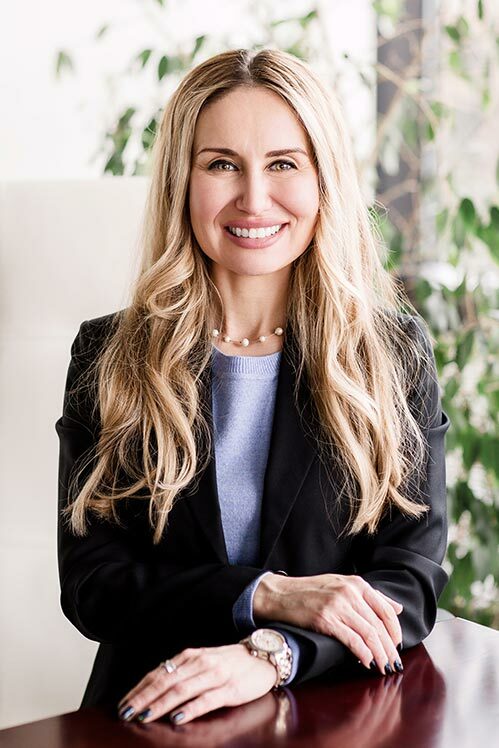 Firm founder, and native of Russia, Irina Batrakova understands immigration struggles first-hand and has helped individuals from over 70 countries to gain legal, working status in the United States. Get in touch to get started on your new venture. Irina and her team were instrumental in providing us with the support we needed to process not only B-1s but also O-1s for our visiting foreign artists. She made the process flow seamlessly and worked with our artists to prepare them for the consulate interviews. We are very grateful for her assistance and would recommend her services. I highly recommend her for anyone going through the immigration process. My company contracted Irina to help us hire a very skilled computer analyst from Mexico. Irina stepped us through the immigration process quickly resulting in a 3-year Visa for our new employee. We are very satisfied with her level of professionalism and expertise and would highly recommend her for anyone going through the immigration process. - Paul Tice, ToPA 3D, Inc. I have had excellent experience working with her office on two separate immigration projects. She is a very responsive and patient attorney, keeping track of all little details and helping clients go through the immigration process at a comfortable pace. - Peter Sharapov, CEO, ShopFans RU, Inc.
Irina has been our lawyer for two processes, the K-1 visa and the adjustment of status. We were able to get everything done and it didn't matter if I was living in Mexico at that time. We highly appreciate working with her; the way we describe her is: efficient, organized and responsible. She has fair pricing and she'll make sure your process gets done. 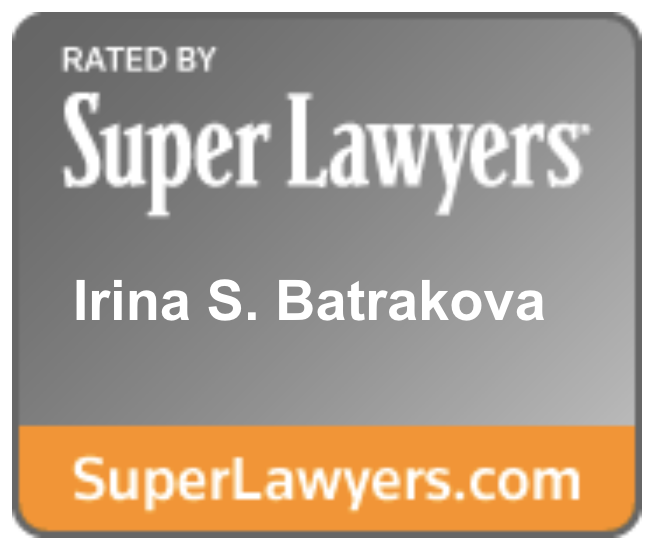 The Batrakova Law Office is first class and Irina as its principal is the star, she is so thorough, knowledgeable, personable and makes you feel very confident in her abilities. Irina is one of the best immigration lawyers ever! Irina is one of the best immigration lawyers ever! She is extremely professional, always willing to help, in addition to being a nice and kind person. I highly recommend her office to anyone who has an immigration issue. She is organized, and goes above and beyond on every immigration case. The E visa category is based upon a treaty of friendship, commerce and navigation, or a bilateral investment treaty. Individual companies or citizens of a qualifying country may qualify for an E-2 Treaty Investor visa. This visa category is truly designed for a small business owner and is intended to allow foreign nationals to come to the U.S. to purchase an existing or a new business, or engage in a joint business venture, with an initial capital contribution often as low as $70,000, depending on a Consular Post. For the foreign nationals that own a business abroad, and are looking to come to the United States to open a subsidiary or an affiliate company, there is an L-1A visa for the executive or manager that comes to the United States to open the new office. An individual can stay in the United States for a maximum of 7 years in the executive or manager category. The L-1A visa lands itself well for an EB-1 (first immigrant category) multinational executive or manager filing to secure permanent resident status. This visa category allows a straight path to permanent residence (green card). Employment-based 5th preference category (EB-5) provides a way of obtaining permanent residence (green card) for foreign nationals who invest capital in the U.S. Foreign investor must invest $1,000,000 (or at least $500,000 in a “Targeted Employment Area”), creating or preserving at least 10 full-time jobs for U.S. workers, excluding the investor and his immediate family. Under the Pilot Program investment can be made directly in a job-generating commercial enterprise (new or existing), or into a “Regional Center,” a third-party-managed investment vehicle, which assumes the responsibility of creating the requisite jobs.